Honeyberry Diary | Do what you love. Be happy. 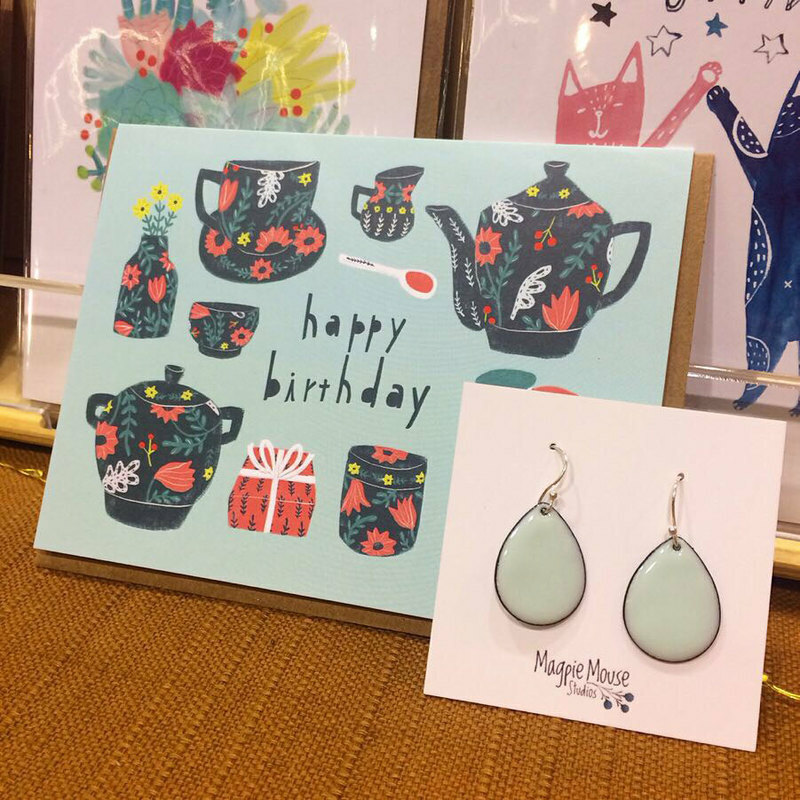 When I’m at shows, I often see my customers carefully go through my prints and cards and have an emotional reaction. What that tells me is my messages feel more authentic than the ones you find at big box stores. 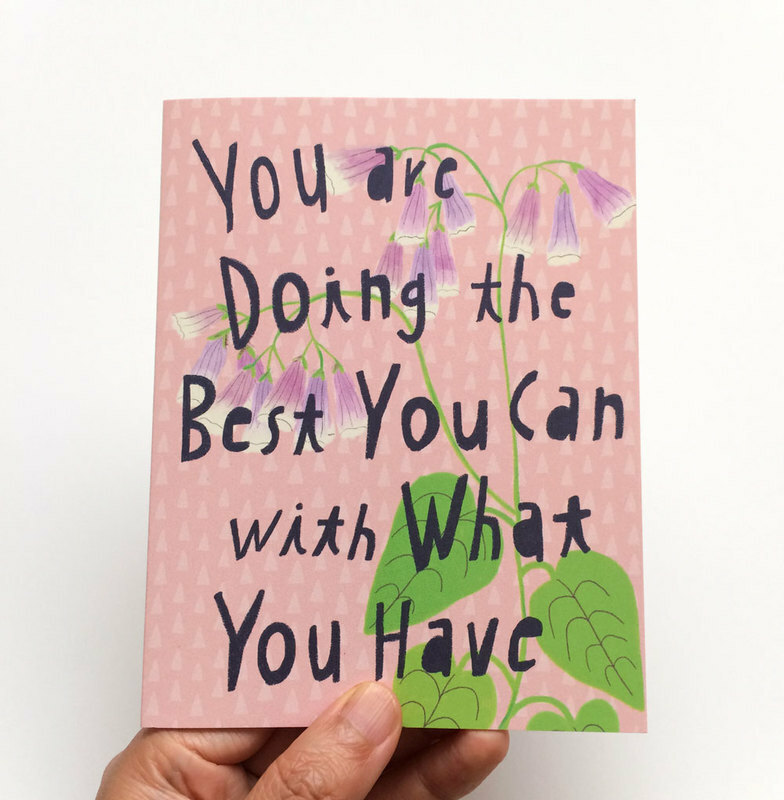 It makes me happy because I do care a lot about what I say on my cards. Art is important, of course. And the message is equally as important! 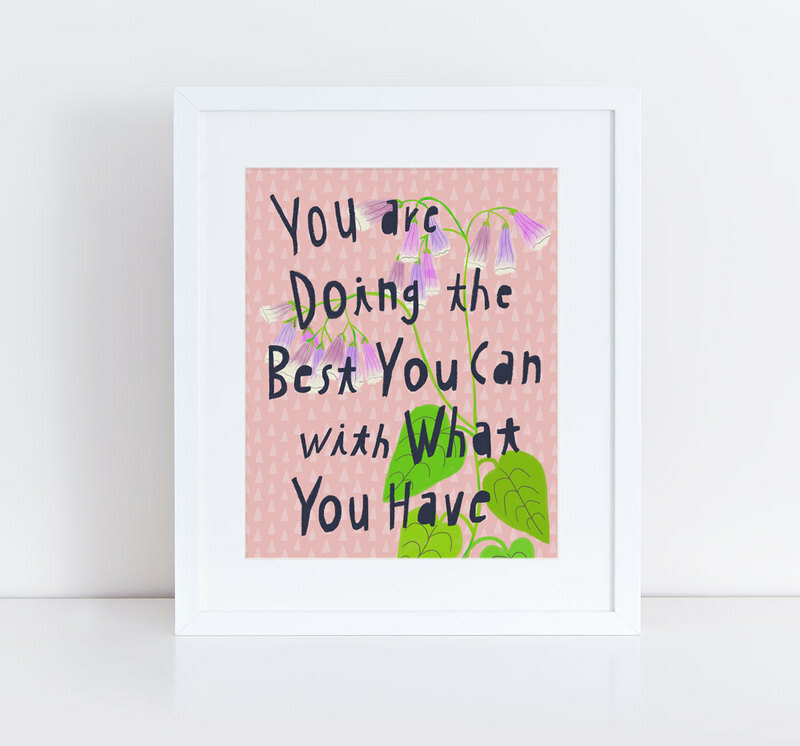 When I craft my messages, I pull a lot of inspirations from my past work in social service. At the domestic violence organization I worked at, we were trained to be non-judgemental listeners and supporters of the DV survivors. Not an advice-giver or tell-them-what-to-do-er. That approach was perfect fit for my personality. Everyone’s situation is so different. I don’t even wanna pretend to know what’s best for other people! Instead, I let them know I saw and heard them. I wanted them to know they were not alone, and that they didn’t have to prove anything to me. 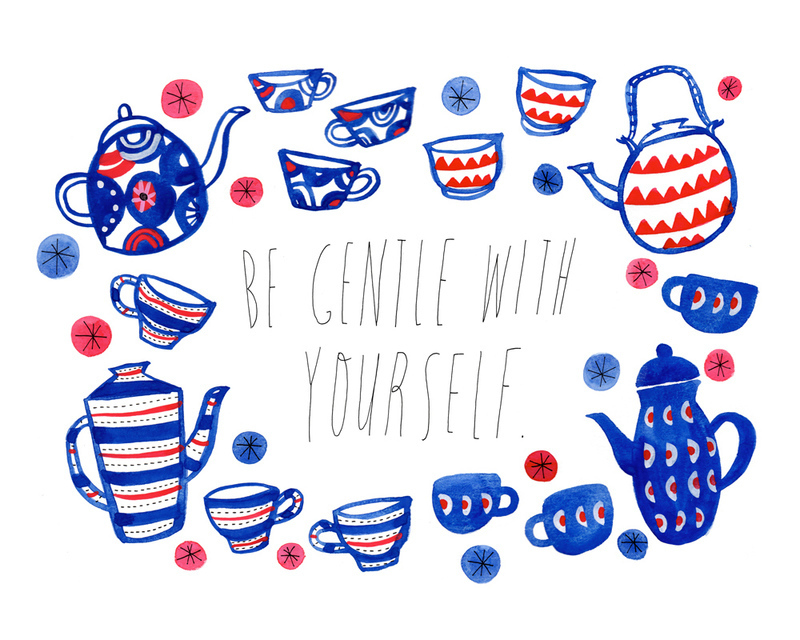 No matter what you’re going through or how you feel about yourself, you deserve respect and dignity. So when I create messages for my work, I ask myself, does this feel respectful? Would I actually say that to someone I care about? Or would it be helpful for me to hear this? Because when I dig deeper – and making good work always requires you to dig deeper – I’m the one who needs to hear those messages the most. I’m no better than you. I don’t have it all together. 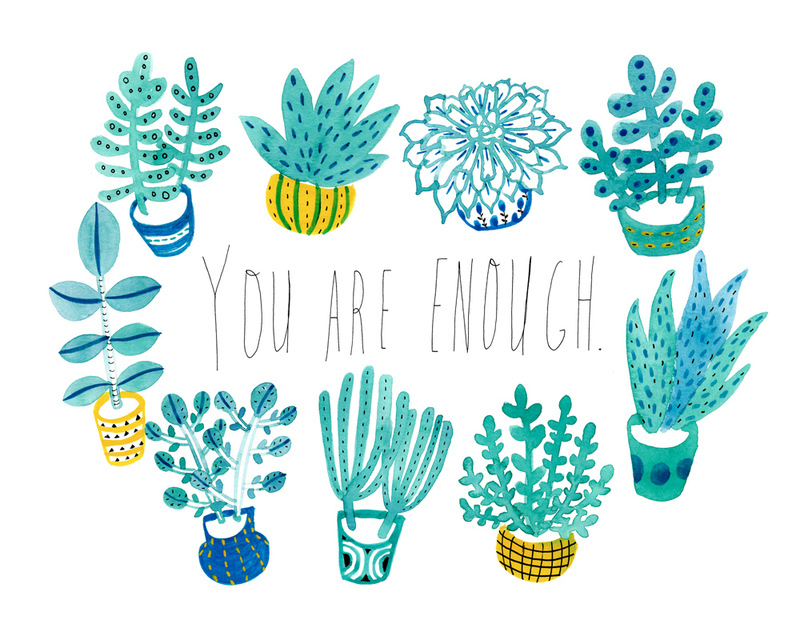 I need to be reminded of my worth every day. Even though I’m severely introverted 🙋🏻‍♀️ I still need connection to other people to thrive. And my art has helped me to share myself and connect with so many awesome people (like YOU ❤️). 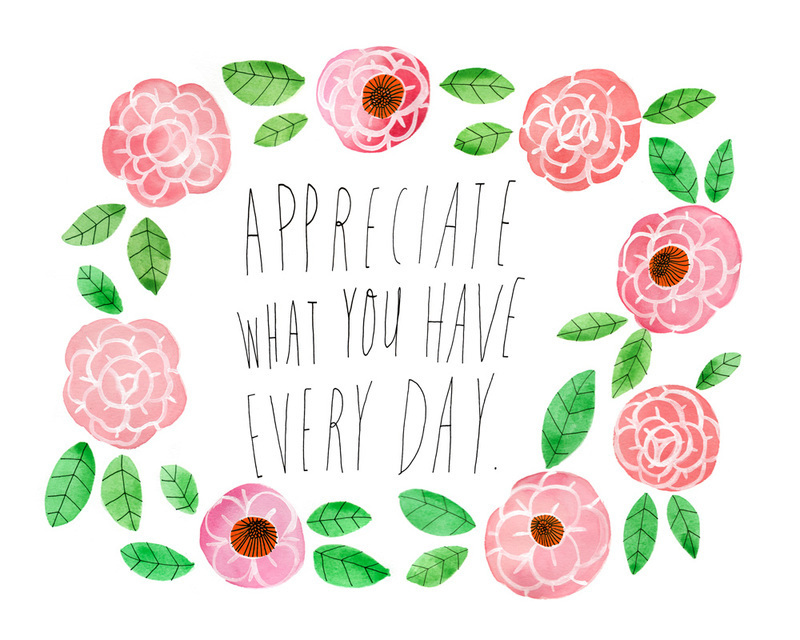 Thank you for being amazing!! ps. do you wanna come enjoy my art and connect with me in person? I have shows and markets coming up! Click here to see my show schedule. pps. 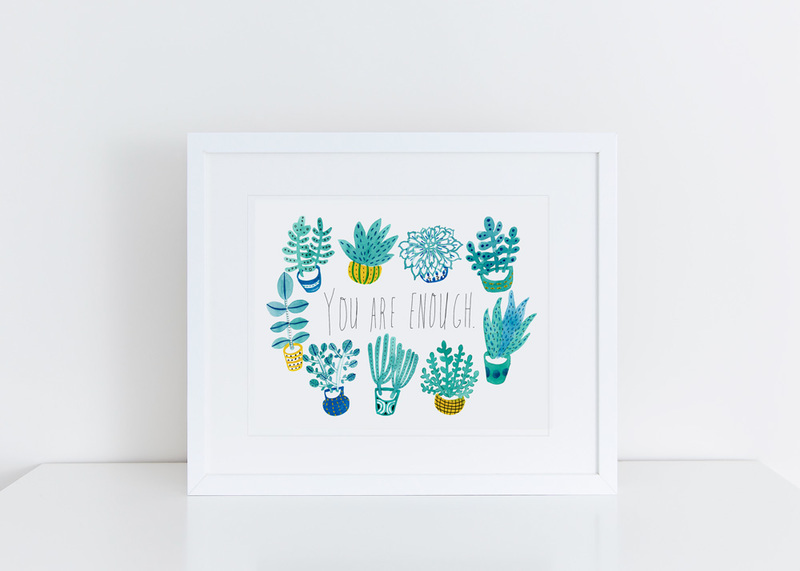 a friendly reminder – price of my 8×10″ prints go up on June 1st. Purchase them now to take advantage of my current price. I throughly enjoyed my mini sabbatical week off last week! It was a good mix of doing stuff, quiet alone time, and hanging out with friends, too. I’d been itching to do some crafting, so I spent a few days making whatever my heart desired. OK, so technically, I didn’t actually make these ceramic pieces last week, but the plate did come out of the kiln last week 😀 Does it count? 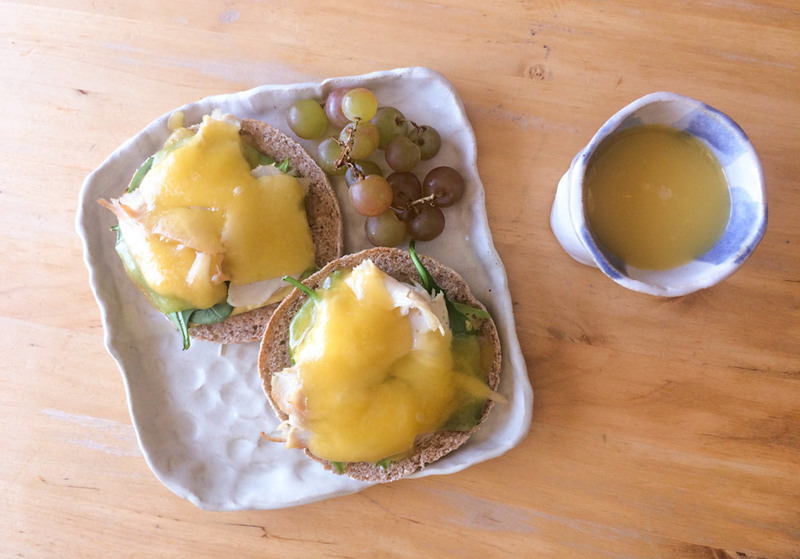 This delicious-looking lunch, I did make. 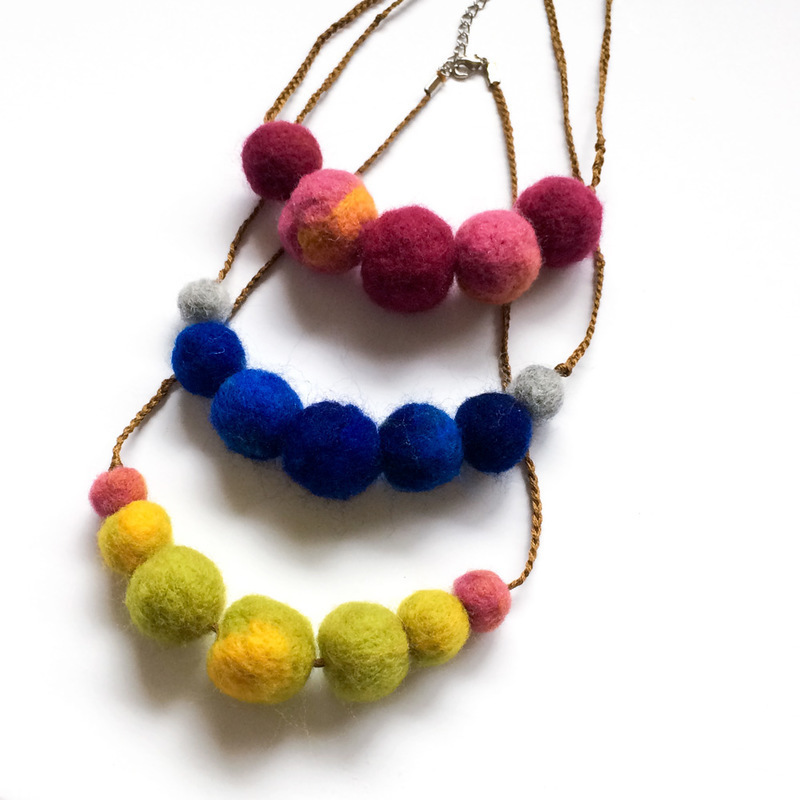 How come everything looks and tastes so much better when they’re served on handmade wares?? 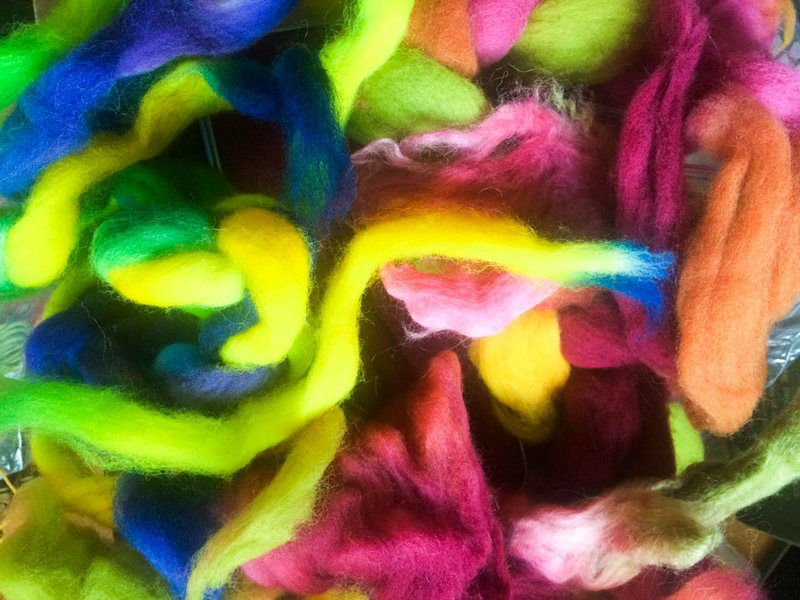 I’ve had this beautiful wool for several years and finally did something with it! 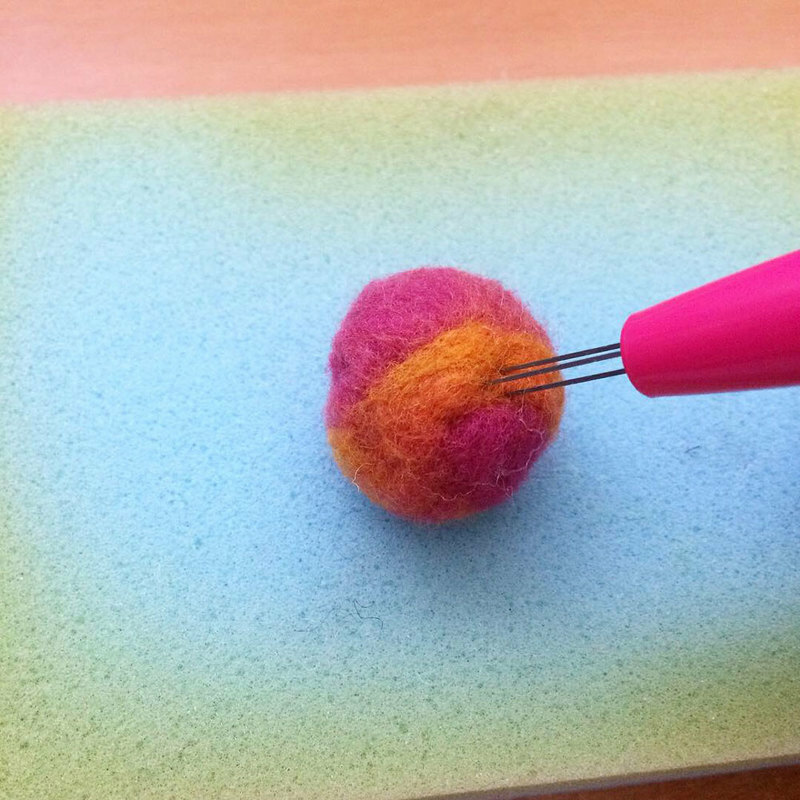 I dusted off my needle-felting supplies and decided to make a felt ball necklace. Ta-da! Love these colors so much. It’s super lightweight, too. Luckily I had all the supplies needed for the project, and they came together pretty quickly. 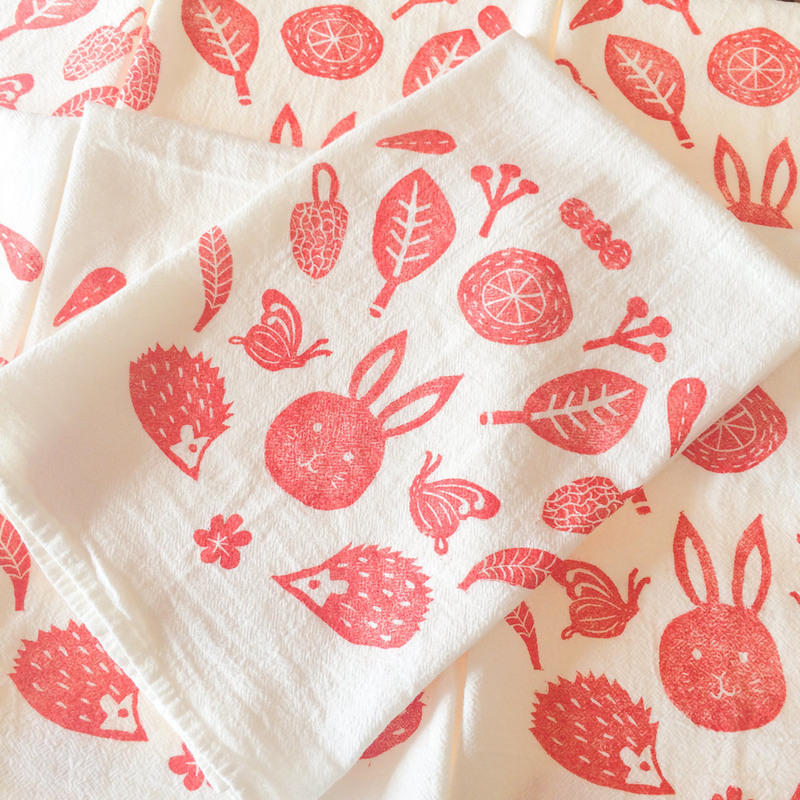 ​I’m keeping one for our home but have a handful of extra tea towels for you. 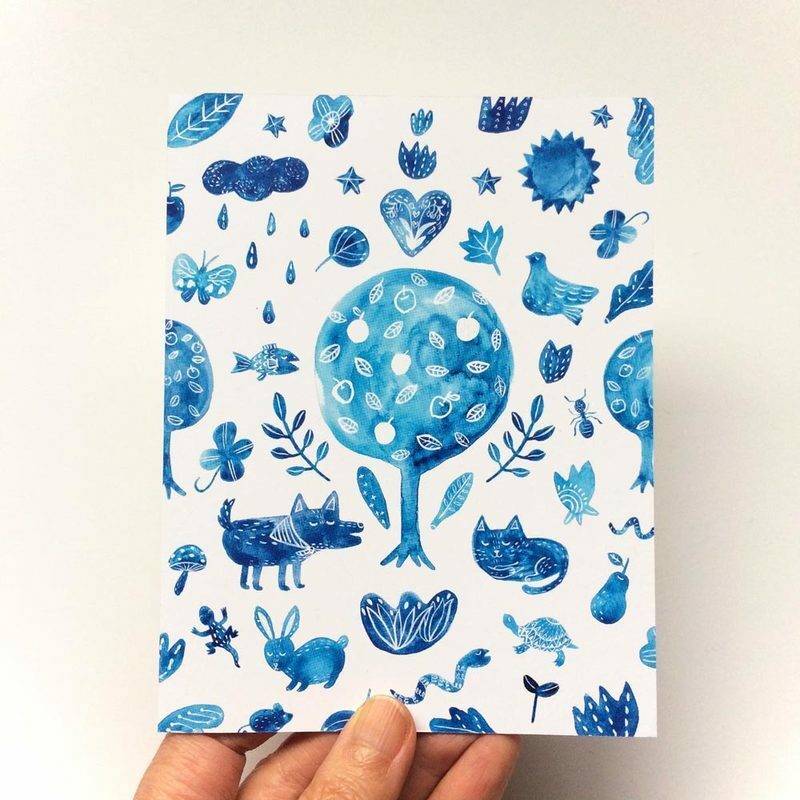 ​Hope you have a creative day, my friend! 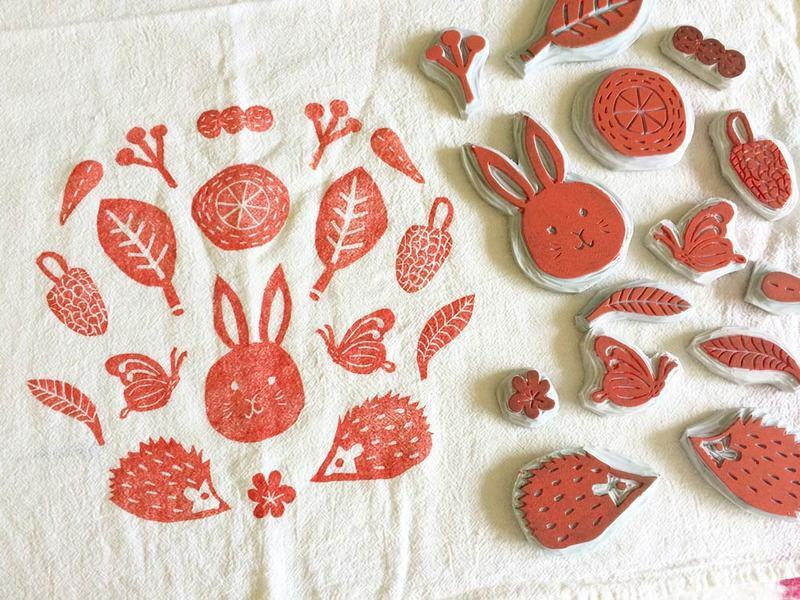 If you have a cute shop in your area that I should be in, do send me a message and let me know! You can find all 60 retailers who carry my goods here. In Japan we have a saying: January goes, February runs away, and March leaves. I guess people have felt this way about the first three months of the year for a long time. It’s nice to know it’s not just me. Hehe 😀 Do you feel the same way? 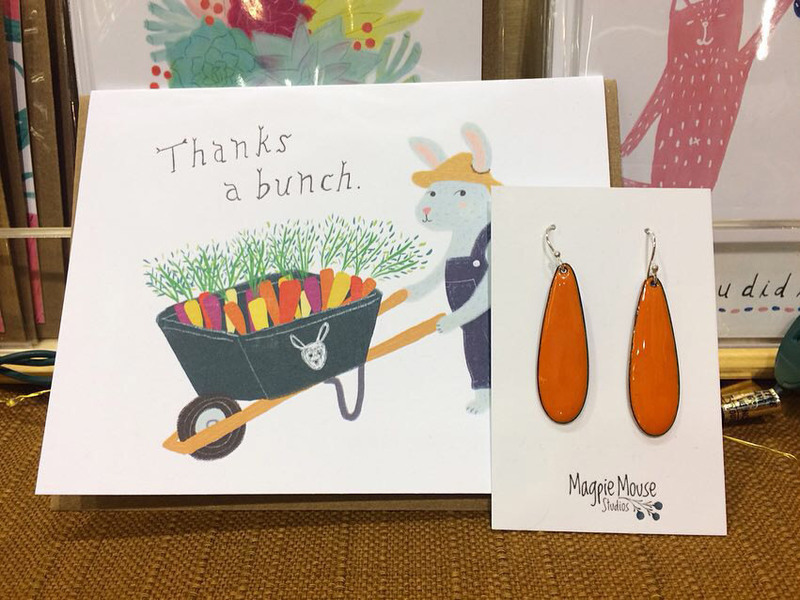 As this post goes out, we’re in Spokane for Custer’s Spring Arts & Crafts Show. Come visit if you’re in the area! In the meantime, I have a few announcements today, so let’s jump right in. 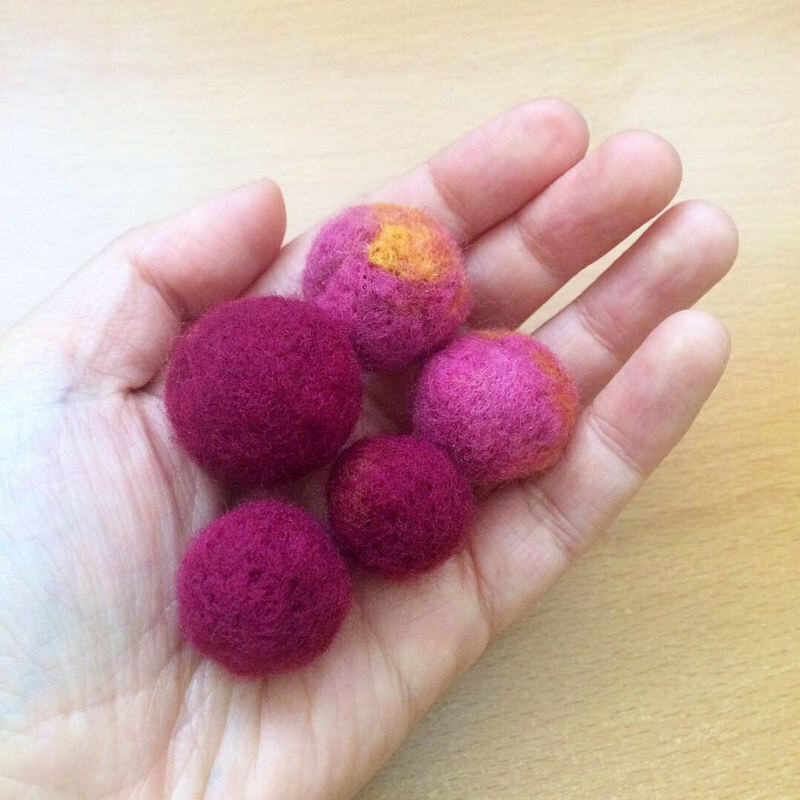 First off, I have a couple of new items available in the shop! 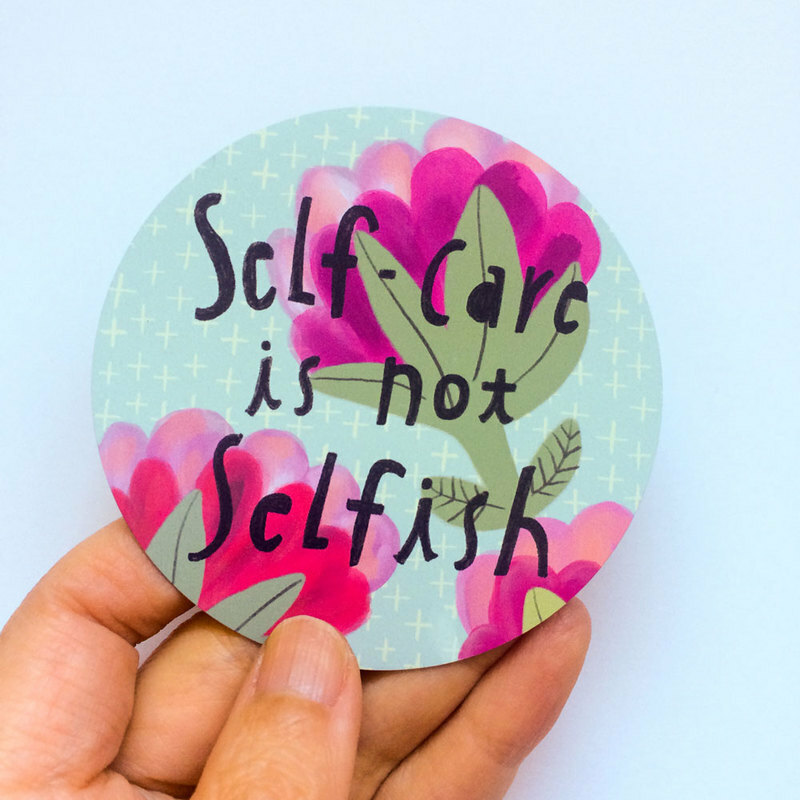 “Self-Care is not Selfish” design is now available as magnets! 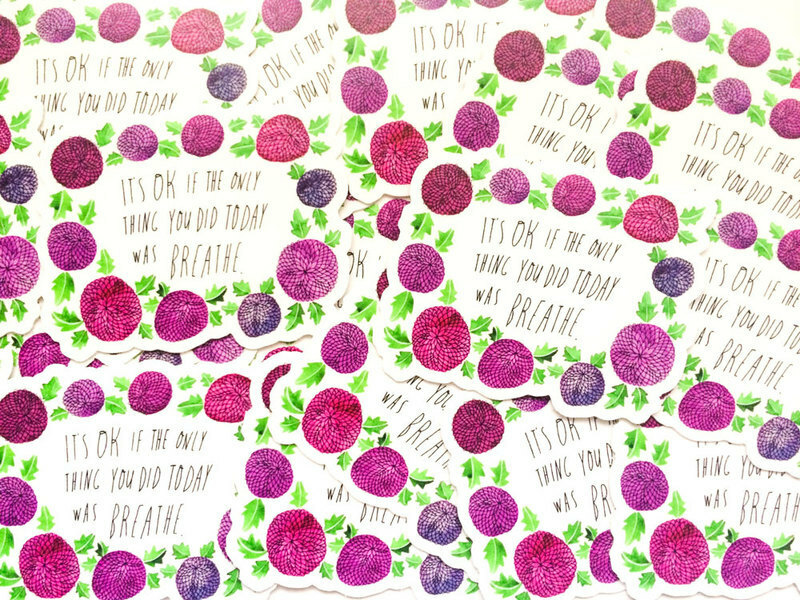 It’s been one of my customer-favorites, and the vinyl stickers with the same design has been very popular as well. I’m excited to add this to my magnet family. 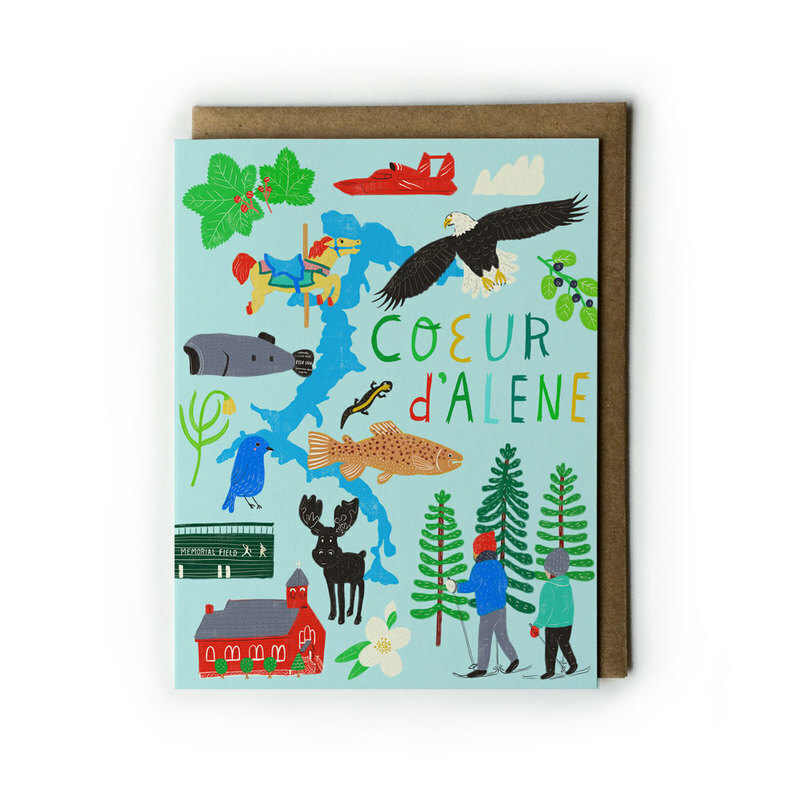 I’ve also added Coeur d’Alane greeting card to my line just in time for the show in Spokane this weekend. 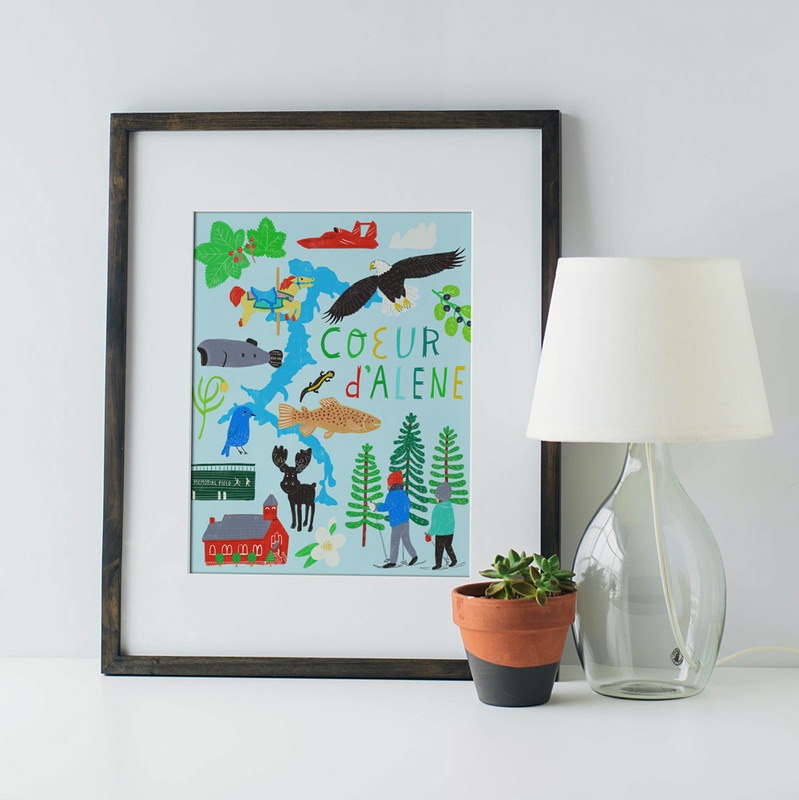 It’s also available as 8×10″ and 11×14″ archival giclee art print. I love how colorful it’s turned out 🌈 I’ve been told many times how beautiful Coeur d’Alene is. I need to visit there! You can find all these items in my shop or at shows. 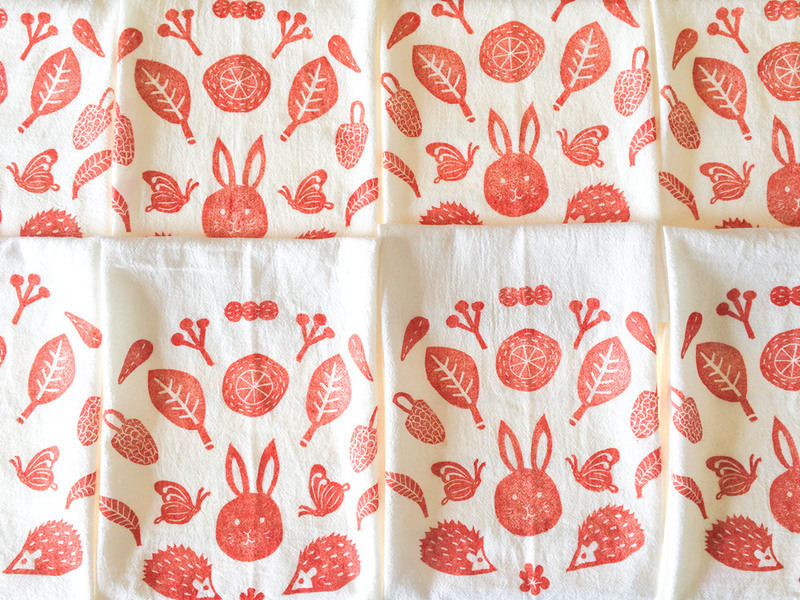 OK, on to another news – I’m adjusting a couple of product prices effective June 1, 2019. 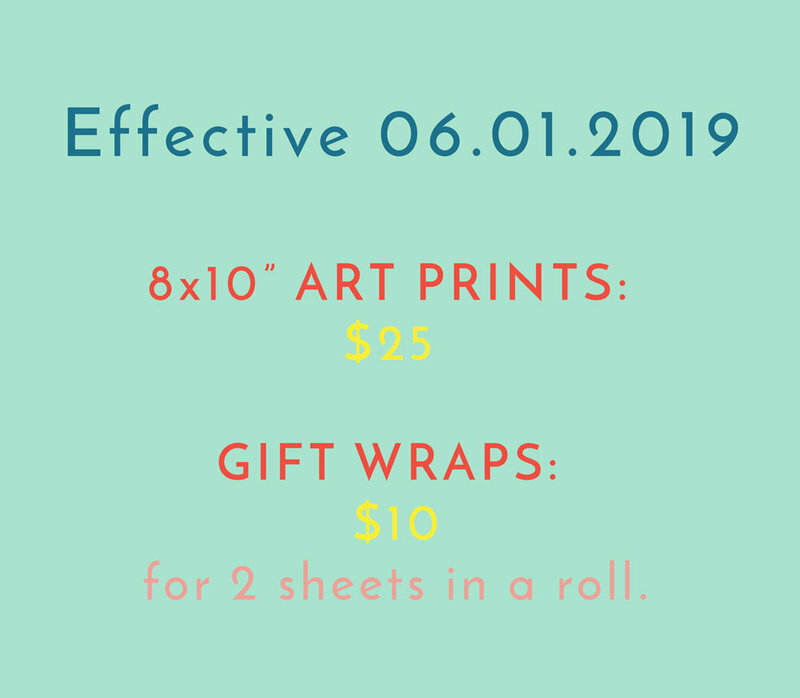 For your reference, 8×10″ art prints are currently $22, and gift wraps are $12 for a roll of 3 sheets. This is both due to manufacturer cost increase and to balance out my prices in general. I survived the NW Flower & Garden Show!! THANK YOU for coming to support me. Meeting new and old friends is always the highlight of my shows. 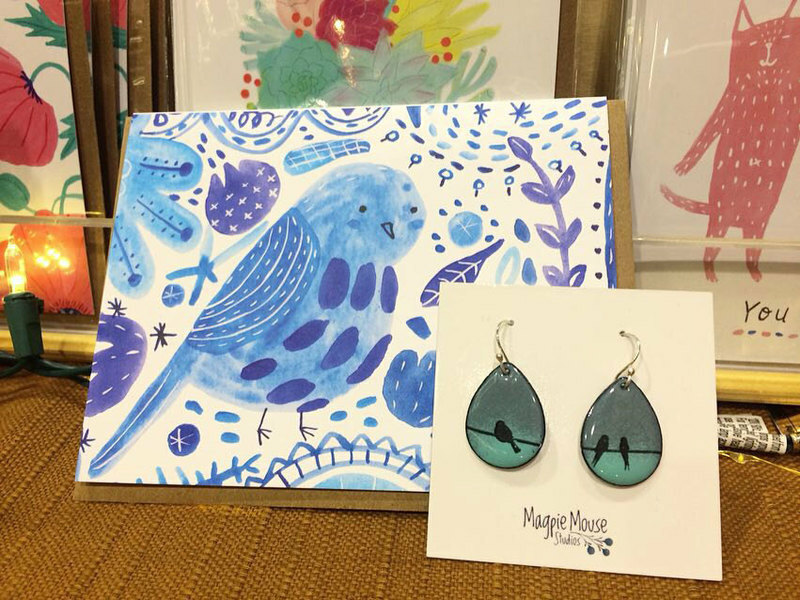 It was my first time exhibiting at the NWFGS, and I was lucky enough to share a booth with my maker friend, Sarah from Magpie Mouse Studios. In fact, it was Sarah who asked me if I wanted to share a booth with her in the first place. The cost of doing this show was quite high (for me), so without her inviting me to split the cost, I probably wouldn’t have done it. 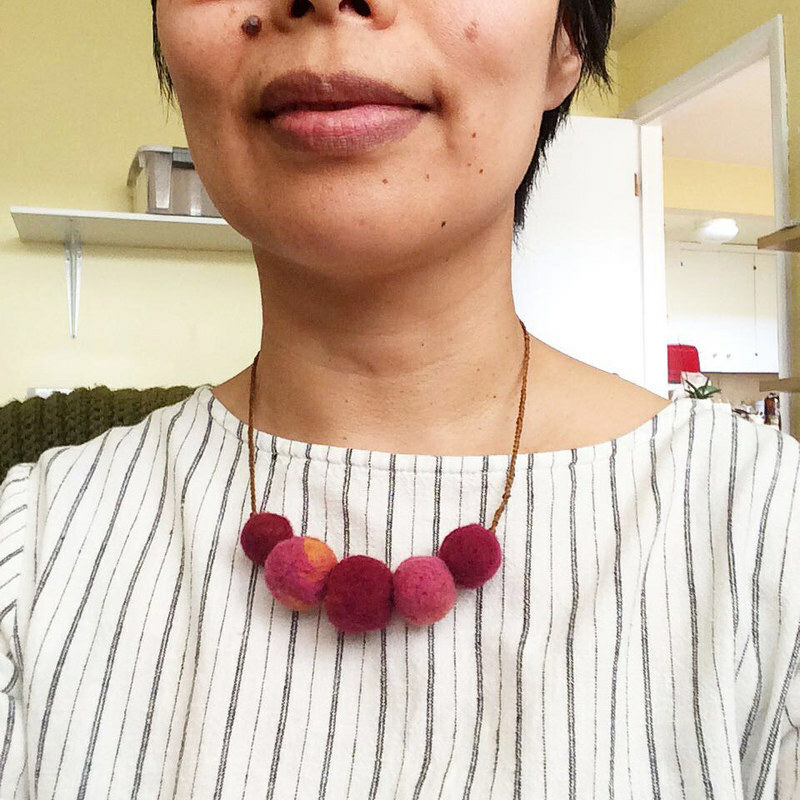 Sarah and I have been at several shows together before – I’ve always admired her colorful enamel jewelry and her upbeat personality. 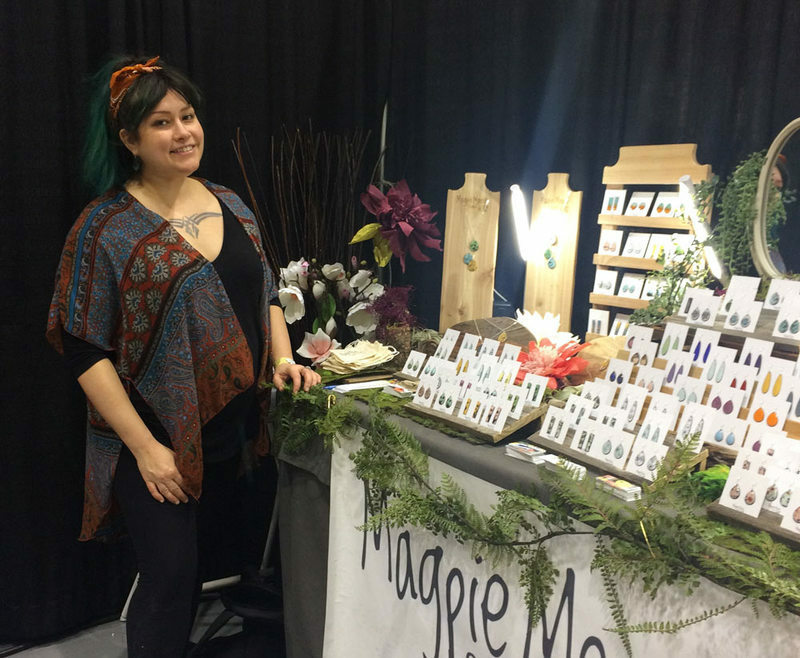 Until I shared a booth with her, I didn’t know just how complementary our products were. 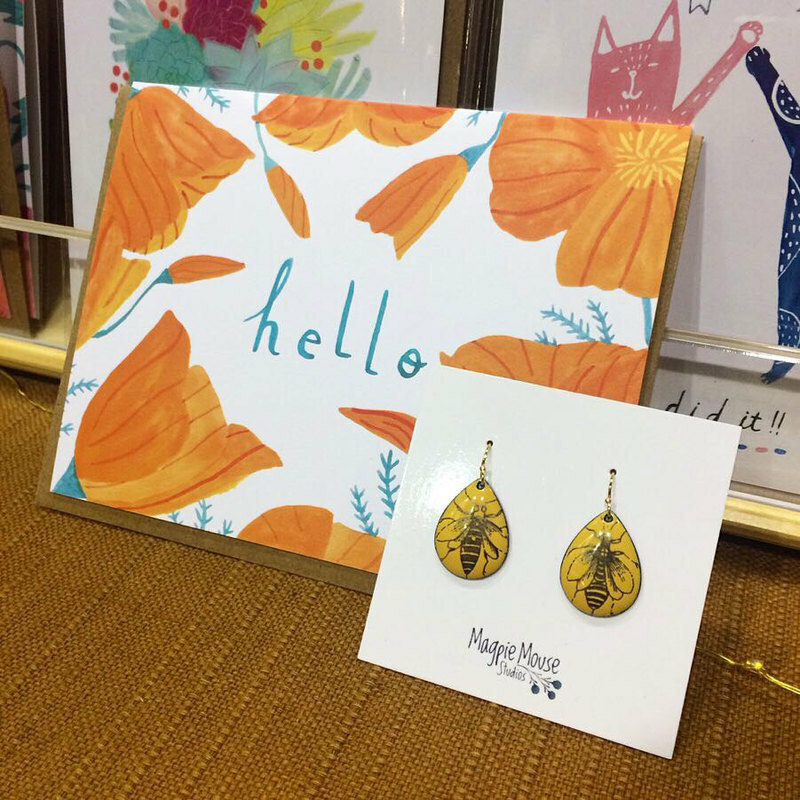 During the 5 days we were together, we played with pairing my greeting cards with her one-of-a-kind earrings. 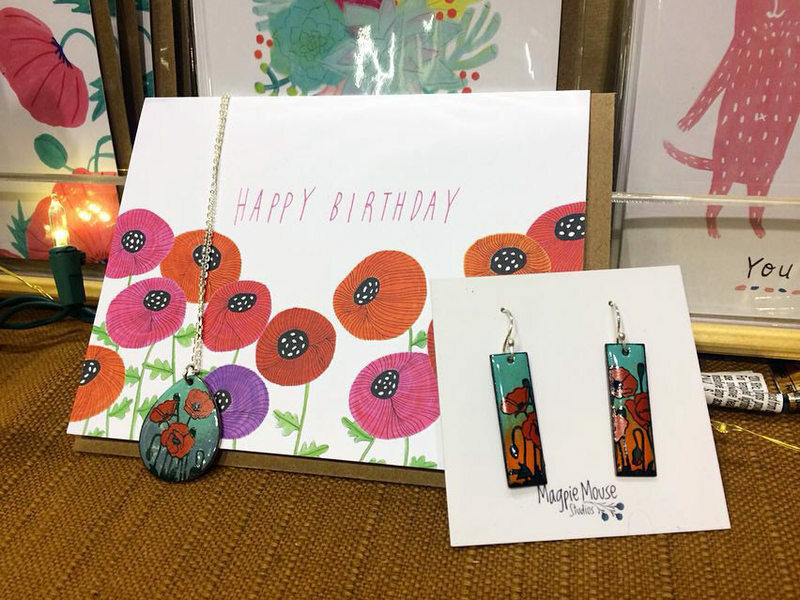 Earrings are all handmade and one of a kind – many of the ones in the photos have sold out – but you can check out Sarah’s Etsy shop to find something similar. Have a wonderful, colorful day! ps. Always free US shipping when you order $35 or more. I’m exhibiting at NW Flower & Garden Festival for the first time this year. I’m super excited for the big show this week – and feeling nervous. Feeling nervous not only because it’s a big investment for Honeyberry Studios, but I’m worried I’ll be completely exhausted after 5 long days (11+ hours) of being in public. Being the biggest introvert I’ve ever met, I know spending that much time around people is going to drain me of all the energy. Probably by day 2. Terrible. Stock up on foods: I don’t like spending a ton of money on foods at show venues (plus I don’t really have time to get away from my booth to wait in line.) We went grocery shopping yesterday and bought a bunch of snacks, lunch foods, and beverages to take with me. Plus I have some frozen leftovers in our freezer I can just thaw out. I know I won’t have time to cook for 5 days, so now I’m well stocked with foods I could possibly want! 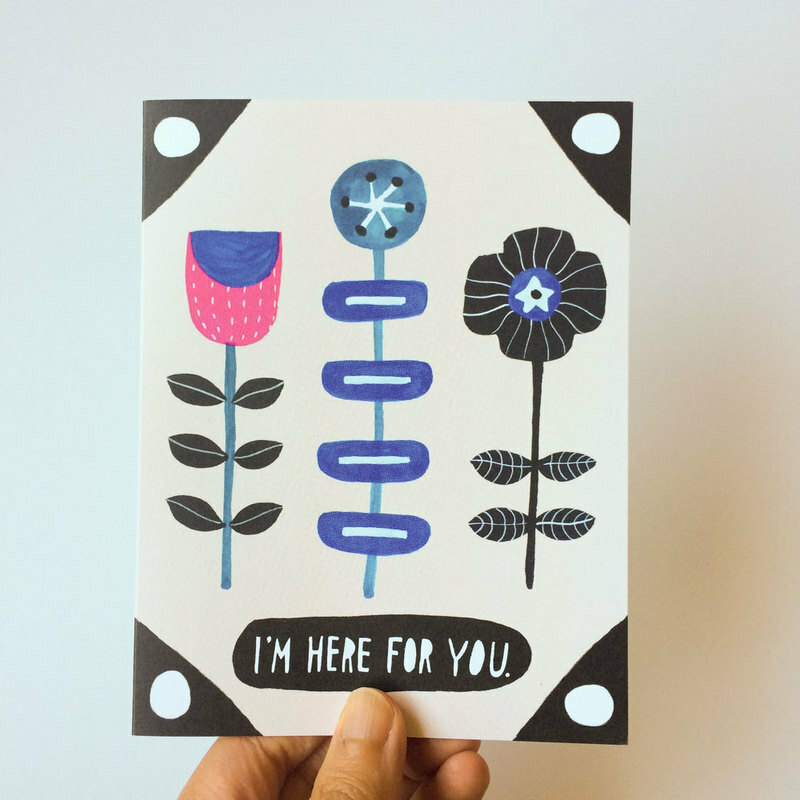 Ask for help: Dave will also be out of town most of the week and I had a shipping conundrum. I ended up asking my kind neighbor for help, and she’s gonna take some packages to the post office for me while I work at the show. I feel so much better reaching out for help! If this is hard for you, remember, people who care about you want to help you if you let them. Sleep: This is gonna be hard. I’ve been trying to get 8 hours of sleep every night after watching this interview on Joe Rogan show. But, the NWFGS goes until 8pm most of the days, and by the time I get home, it’ll be 9, and then I need to unwind for a couple of hours before I go to sleep (some people, like my husband Dave, are lucky enough to be able to sleep whenever, wherever – that is not me, unfortunately.) and I have to be up at 5-5:30 the next morning. So, no, I won’t be getting 8 hours of sleep. I’ll shoot for 7 if I can! Let it go: I believe mental well-being is as important, if not more important, as physical. 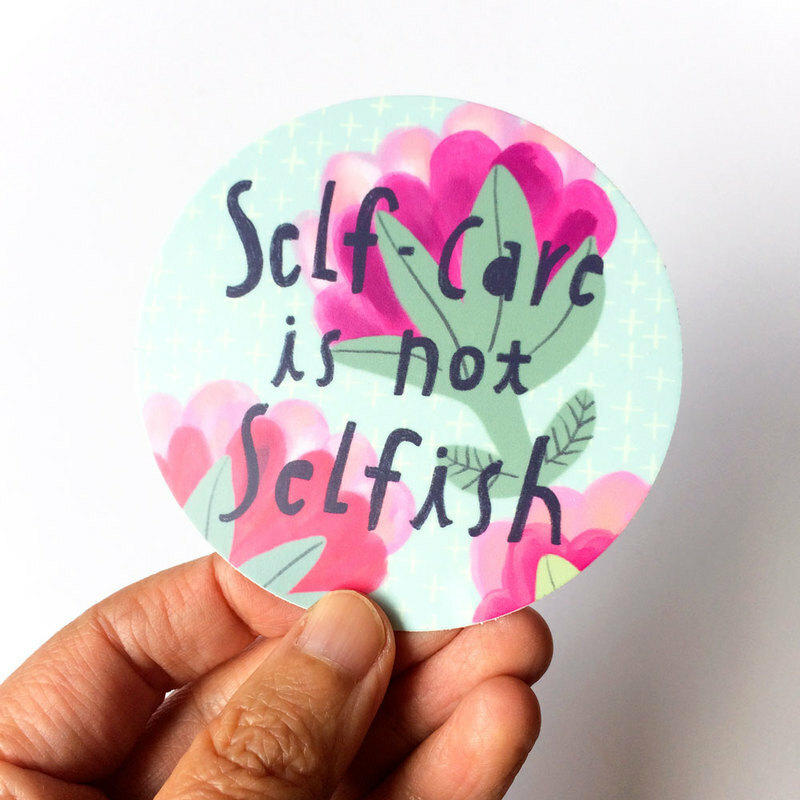 So my biggest intention for self-care this week is – let go of all the expectations. 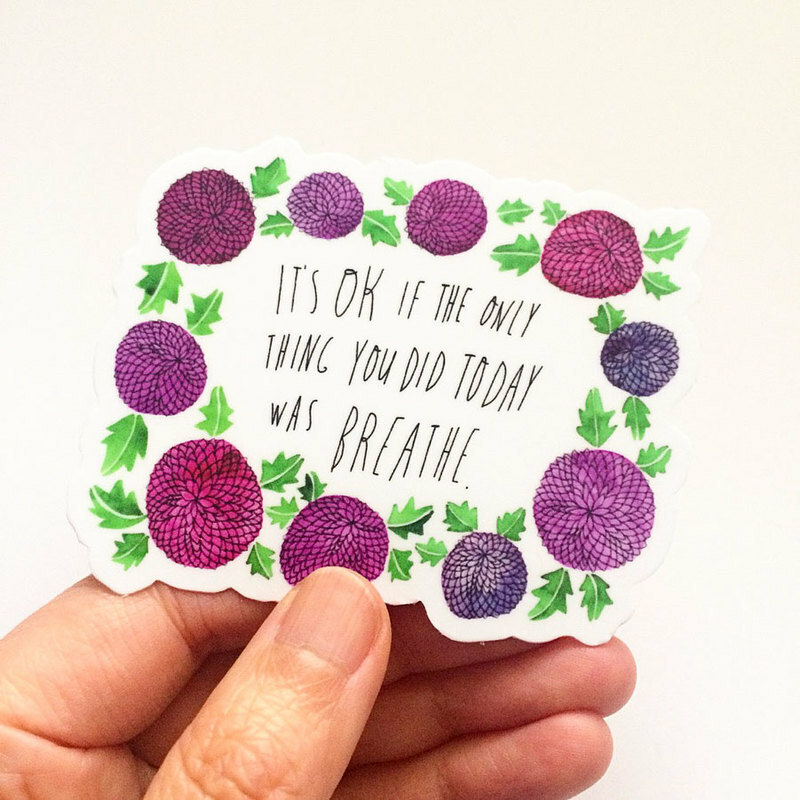 I’ll try not to obsess about everything going as planned (because you know it won’t!) and be ok with that. I’ll do what makes me feel good, and that includes cutting myself some slack when I don’t meet my goals. After all, 5 days out of your entire life is a really short time. It feels overwhelming now, but I know once it’s done, I won’t even think about it. So why stress about it today? I’ve done everything in my control to make it a successful week, and I trust that I’ll figure it out if something doesn’t work. So I’m taking a deep breath and moving forward with peaceful mind. 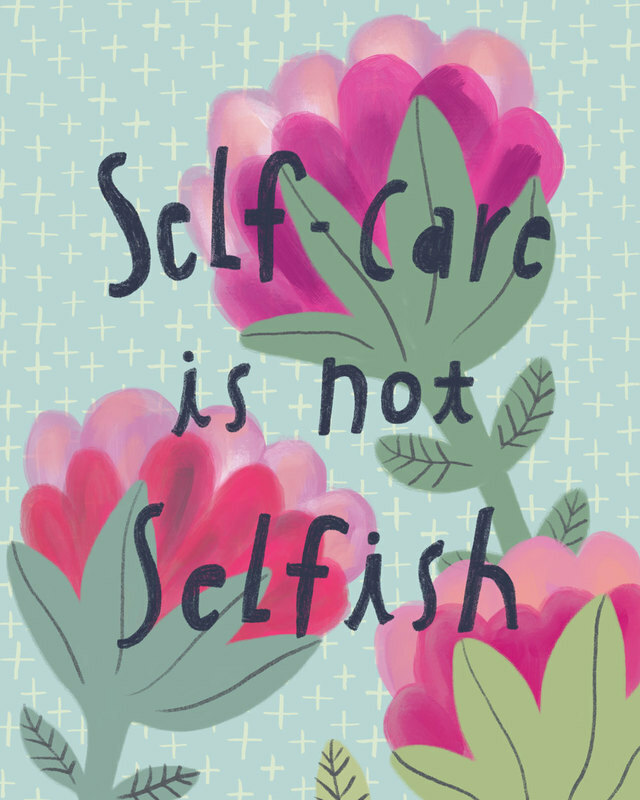 Hope you’ll have a self-care-filled week, my friend! ​I was on my mini sabbatical week last week. I’ve been taking off every 7th week to rest and recharge since October 2015. I typically stick to my routines during sabbaticals. Getting up at the same time, going to the gym etc. I find that if I don’t follow my routine, I feel more sluggish and low-energy. For work, I do minimum maintenance, like shipping orders and responding to emails, but no big deadlines. And sometimes I do big picture planning stuff during my sabbaticals. To me, mini sabbaticals are not exactly a vacation, but it’s time to focus on things I don’t usually prioritize. Sometimes, it allows me space to just ponder. 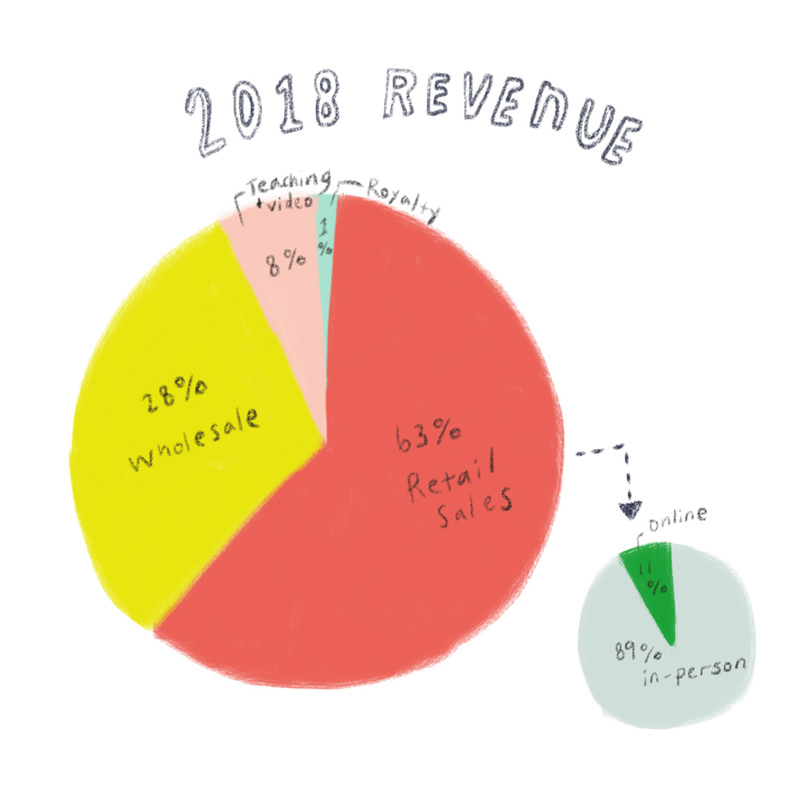 For example, I created my 2018 revenue chart inspired by one of my heroes, Jen Hewett. Ta da! This is where my income came from last year. My overall chart didn’t surprise me. It looks very similar to what I had in 2017. Teaching and video-making took a bigger portion of the pie in 2017, but I’ve been cutting back on them to focus more energy on my product sales, so it makes sense. Breakdown of my retail sales, though, was a little bit concerning. Almost 90% of my direct customer sales came from doing shows and markets. No surprise because I upped the game on in-person events significantly last year. But I wonder how sustainable it is. Just these couple of weeks, Seattle was hit by heavy snowfall. And if you know anything about Seattle, you know that even an inch of snow on the ground can shut everything down. 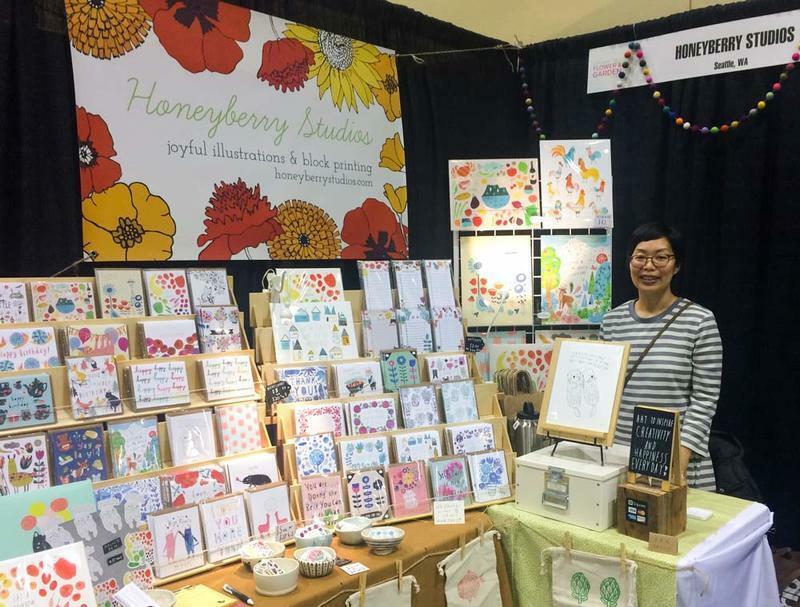 Earlier last week, snow hurt the traffic for Seattle Gift Show. The last two days of the show was so painfully SLOW 🐌 Then another show got moved to a different weekend because of snow. And as I write this, I’m wondering if the show for this weekend is gonna get cancelled or if I’m able to get to the venue, and even if the show happens, chances are the traffic is gonna suffer because of more snow in the forecast. So much of the show’s success is out of my control. It depends on so many things, like whether or not I get into a show that attracts the right people for my work, what else is happening in the world (like Super Bowl), who your booth neighbors are, where your booth is located, and of course, weather. I’m not saying I won’t do shows any more, because I genuinely love doing them, it’s totally my jam 😎 and apparently, my #1 money maker. 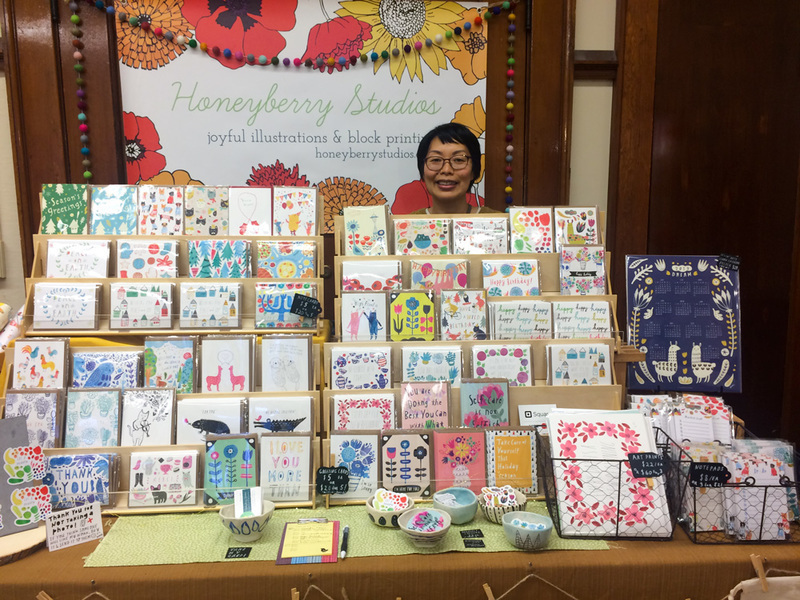 It makes me realize, I want to make my online shop and wholesale business just as successful so I’m not relying so heavily on revenues from in-person shows. 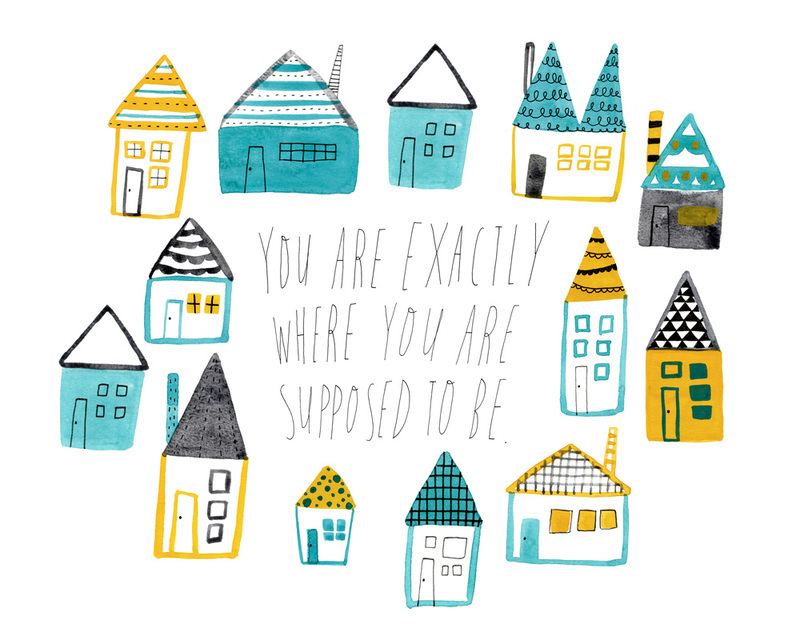 When things slow down, whether it was intentional or forced, it creates a space to ask questions. How are things going? What’s working and not working? Where do I want to go? What could change to make things better? These are some of the questions that are floating in my head right now. 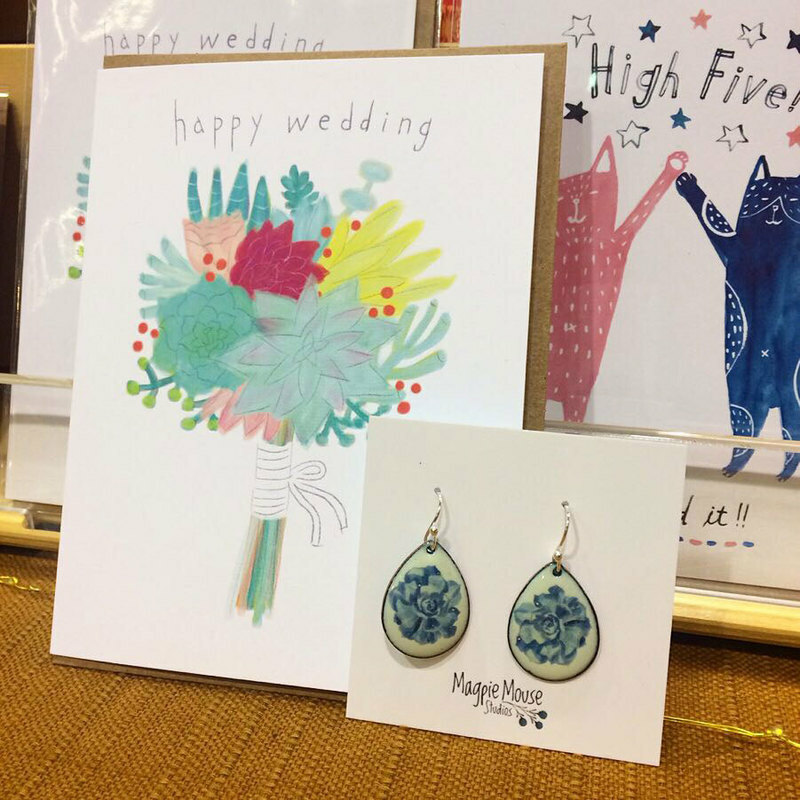 Speaking of growing my online shop, you know my new collection has just launched last week. Grab a hot cocoa, and enjoy exploring the world of cuteness 🐰 from your cozy couch. 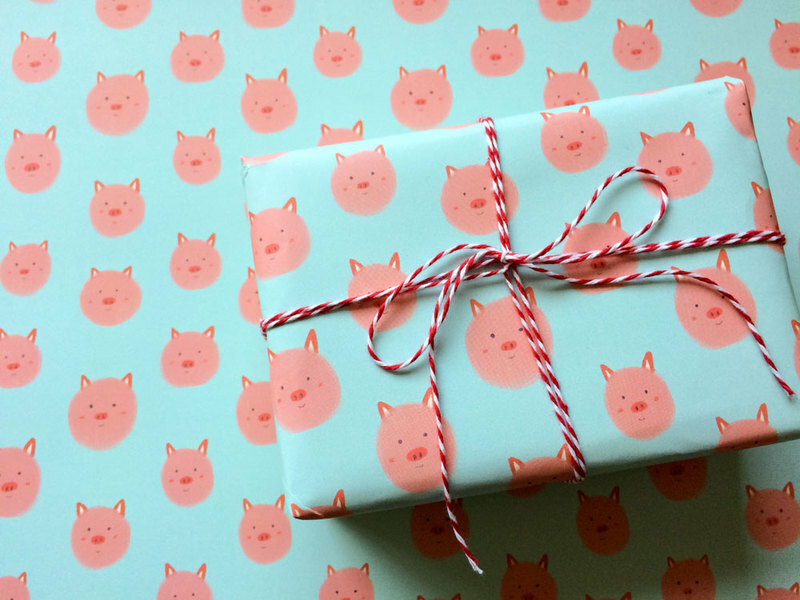 I’ve got 11 new card designs, 3 archival giclee prints, one sticker, and a wrapping paper for you! 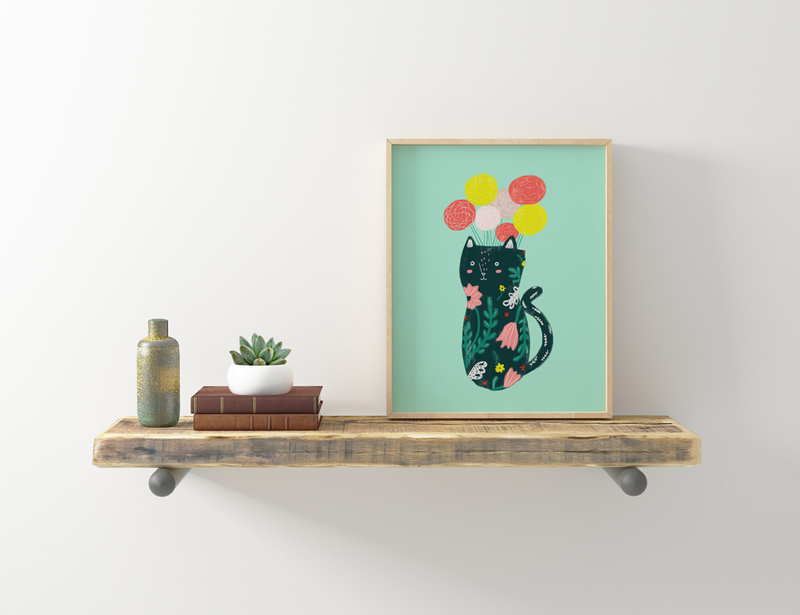 If you’re into colorful and adorable art (which I assume you are if you’re receiving this email 😉) now is your chance to infuse your life with even more cuteness. 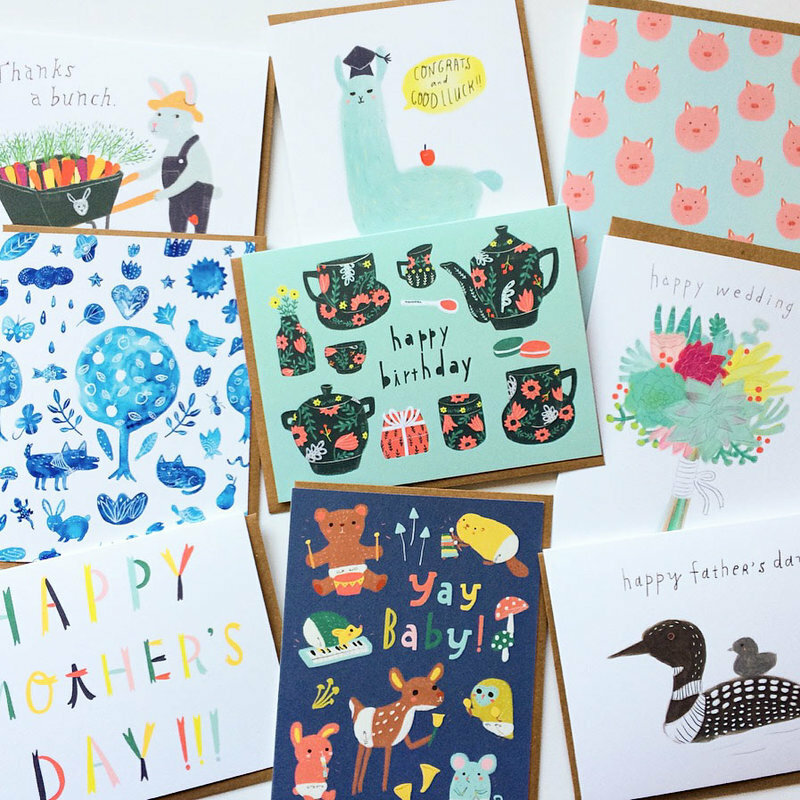 And you always get FREE US SHIPPING for orders of $35 or more, so if your new year’s resolution includes sending more cards to your loved ones, stock up on them today! pps. In case you missed the link, you can shop my entire new collection here.